Today in Masonic history Charles-Geneviève-Louis-Auguste-André-Timothée d'Éon de Beaumont passed away in 1810. Charles-Geneviève-Louis-Auguste-André-Timothée d'Éon de Beaumont more commonly known as the Chevalier D'Eon was a French diplomat, spy and solider who fought in the 7 years war. D'Eon was born on October 5th, 1728 in Tonnerre, France. D'Eon became a member of the Secret Du Roi, or King's Secret, in 1756. A ring of spies who operated on behalf of Louis XV of France. Louis had split his diplomatic channels into two parts, official and secret. As a member of Secret Du Roi d'Eon was sent to Russia to infiltrate the court of Elizabeth, Empress of Russia. At the time England had blockaded French access to Russia, only allowing women and children to cross the border. D'Eon had androgynous features and a natural mimic. He was able to dress like a woman and slip into Empress Elizabeth's court. For his work in Russia, Louis XV granted d'Eon a 1,000 livres pension. After the death of Empress Elizabeth in 1762, d'Eon was sent to England to draft the peace treaty that would officially end the 7 years war. For his efforts in the peace process d'Eon was awarded the Order of Saint-Louis, a military Order of Chivalry. This gave him the title of Chevalier. D'Eon remained in London and became the interim ambassador to England. During this time d'Eon continued to spy for the king. D'Eon scouted coastal defenses for poorly planned invasion by Louis XV. The invasion never happened. Eventually the new ambassador arrived in London and did not get along with d'Eon. D'Eon was demoted. He protested to the king and the king ordered d'Eon back to France. Eventually d'Eon disobeyed those orders. The French requested the extradition of d'Eon, to which the English refused. D'Eon used the diplomatic correspondence to try to save his station in London. He published the diplomatic documents he had, with the exception of the invasion documents and his letters involving the Secret Du Roi. Those he held back for insurance. Eventually the French Ambassador was recalled and d'Eon was offered a 1000 livres a month pension. This was widely seen as payment to d'Eon to not publish his remaining documents. D'Eon's androgynous appearance lead many to speculate that he was actually a women. It eventually got to the point that a betting pool was started on the London Stock Exchange. D'Eon was asked to participate in the wager, he refused stating that the result would be dishonoring, no matter what the result. After a year without any progress the bet was abandoned. When Louis XV passed away in 1774, d'Eon negotiated a return to France. D'Eon was retained his pension and was required to turn over all documents concerning the Secret Du Roi. One condition that he demanded was that the French government recognize him as a women. He claimed that he was born a woman and was raised a boy so that his father could inherit from his in-laws. 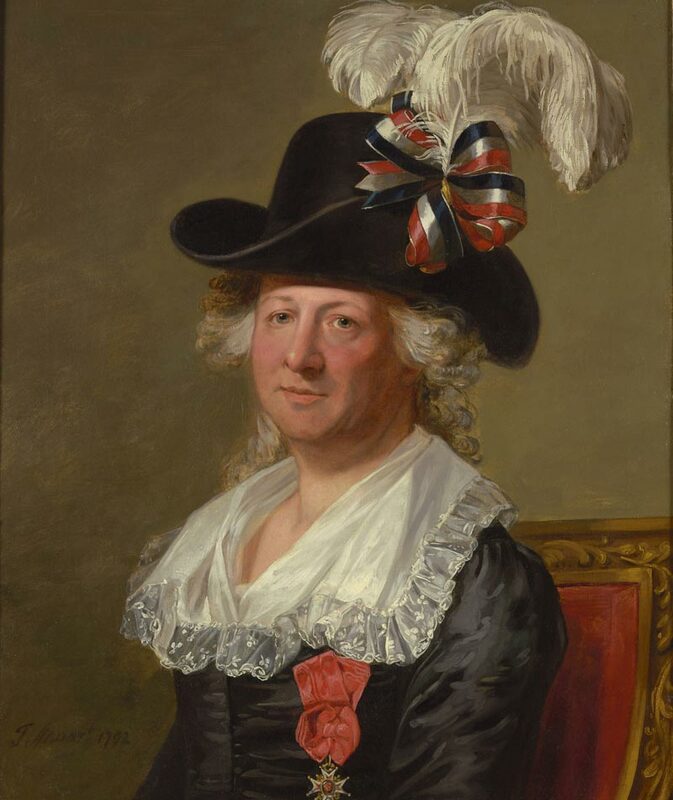 Louis XVI agreed under the condition that d'Eon dress as a women. D'Eon returned to England in 1785 where he would spend the rest of his life. D'Eon spent his remaining years in the company of a widow Mrs. Cole. D'Eon passed away on May 21st, 1810 in London, England. D'Eon was raised in Lodge of Immortality No. 376 in January of 1769.